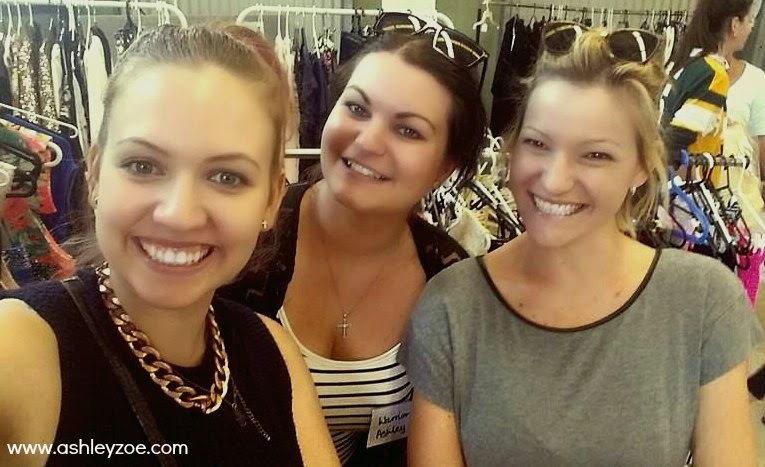 Last weekend I attended my first Wardrobe Warriors market. 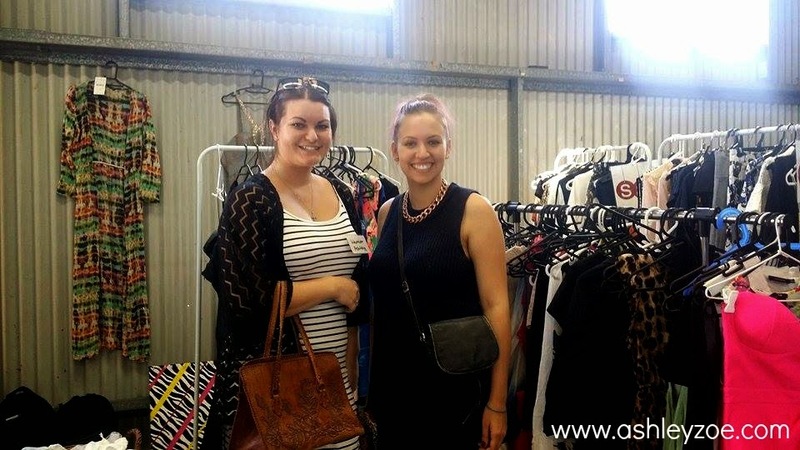 My friend Paige & I shared a stall together to sell our pre-loved fashion & make up items! We had the best time! 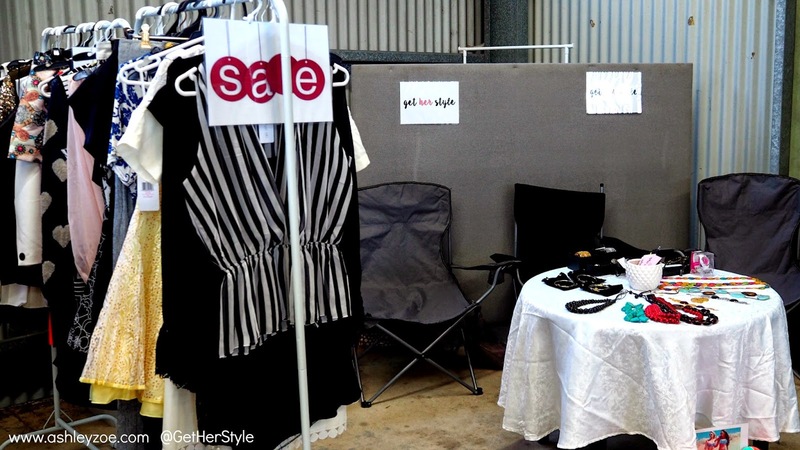 We sold quite a few things & made ourselves a little bit of profit for the day. (Some of that went to other stall holders though, everyone had such cute stuff okay!) 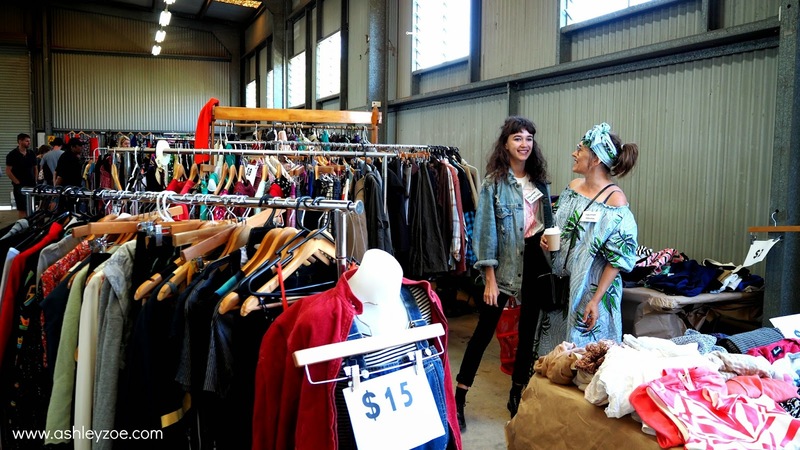 I picked myself up a near new Forever New black bag for only $15 (perfect for my Sydney trip) & the stall next to us was an online boutique & there I bought the coolest faux fur vest! Paige was good & only spent $9, she scored herself a beautiful leather handbag & a GUNS N' ROSES tee. On the day I was lucky enough to meet two fabulous Youtubers who I currently follow! I bumped into Rachel from www.youtube.com/user/justsugarandspice & Bridgitte from www.youtube.com/user/EyedolizeMakeup They were both so sweet & both were more than happy to take a photo with me. Go check out both their channels! 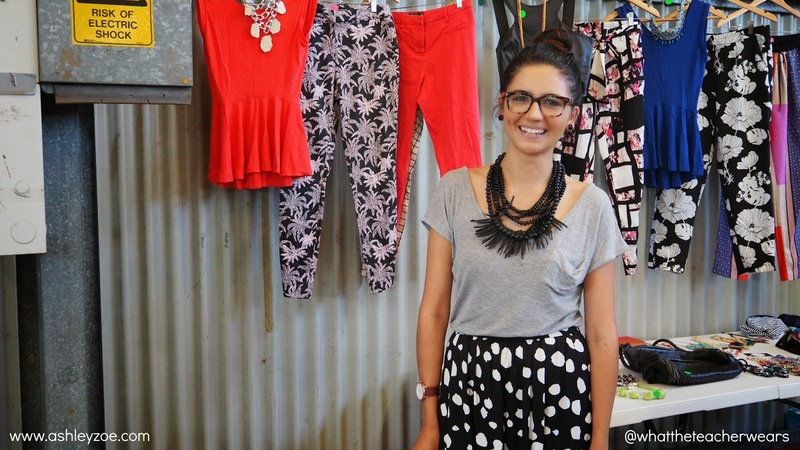 I also ran into another blogger, (I had been told about her blog a day before by a client at work) Alex from What The Teacher Wears, fantastic blog & definitely worth checking out! Our helper was to busy shopping! 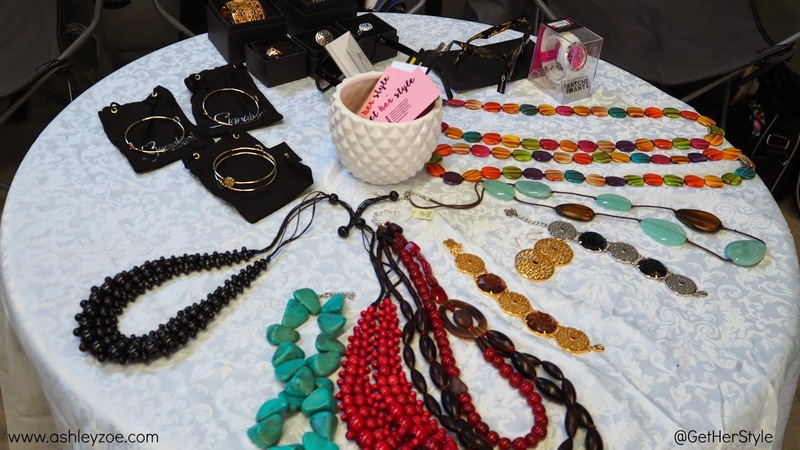 It was such a fun day & I cannot wait for the next market! 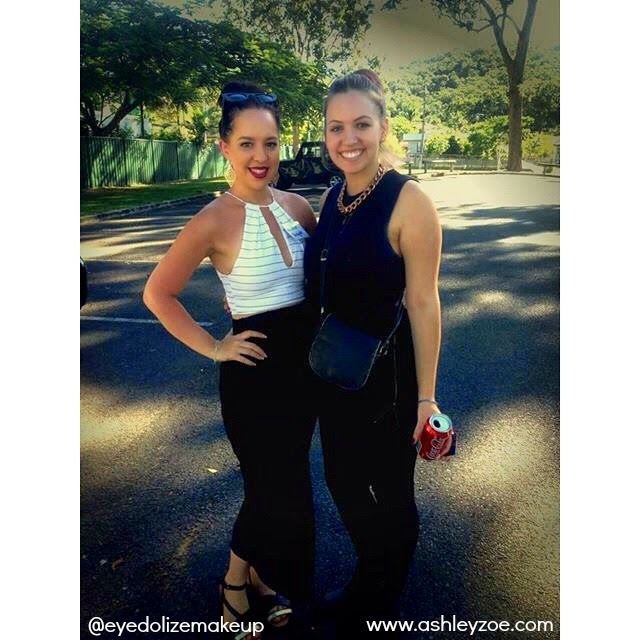 This is a really great post Ash! 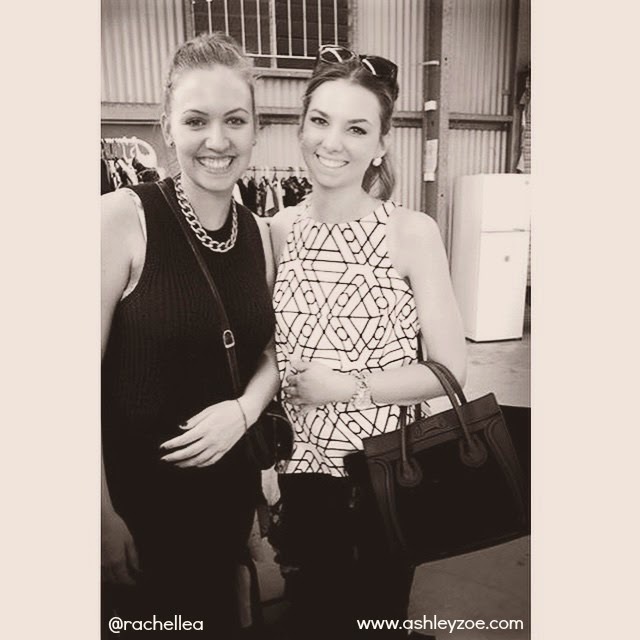 Your style is really developing (I mean blogging style - you already have LOADS of natural style). 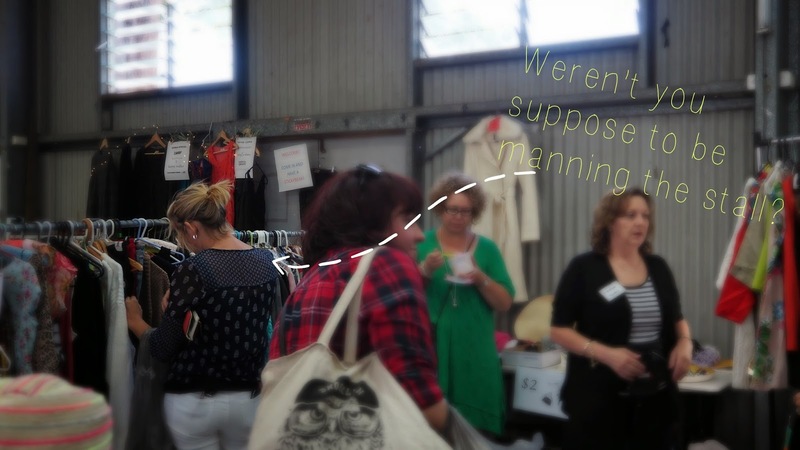 I am planning on getting a stall at the next Wardrobe Warriors markets - I have SO much stuff to get rid of! !